4 star ninja action as things begin to get serious. It tells the story of a young shinobi called Naruto Uzumaki (Maile Flanagan) from the hidden leaf village. 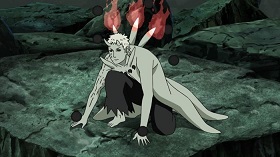 He is a Jinchuriki, who contains the nine tails within him. Along with the other shinobi from his village they learn and grow together as they try to keep their loved ones and the world at large safe. The usual spoiler alerts apply here, we are well into the story so don’t read on unless you’re all caught up to this point. 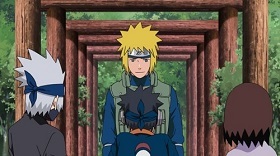 Naruto Shippuden Box 30 comprises episodes 375-387 and concludes the Fourth Shinobi World War: Climax arc, before starting us off on the Birth of the Ten Tails’ Jinchuriki arc. The war is now coming to a head and it seems Obito had far greater plans than anyone realised, even pulling the wool over Madara’s eyes. 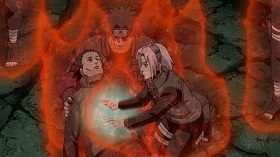 Shinobi who have been separated for years and even deadly enemies must come together to battle against this new threat to the peace of the Shinobi world. The arrival of the ten tailed jinchuriki heralds the birth of the Divine Tree, topped with a bud which can complete the Ultimate Tsukuyomi, thus ending the world as they know it. Can the Shinobi bury old arguments and come together to save their world? This is a thrilling instalment in the story, very exciting and quite surprising in places too. A complete must own for Naruto fans as it begins to bring a conclusion t the current ongoing storyline. 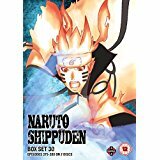 Naruto Shippuden Box 30 is available to buy now on DVD.